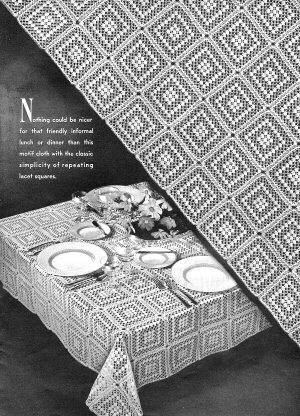 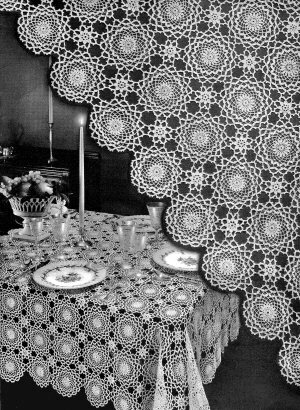 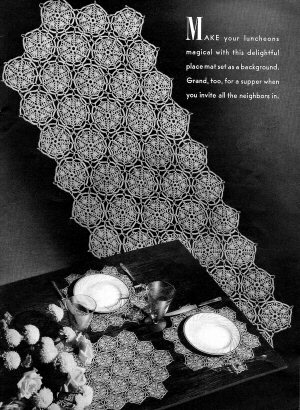 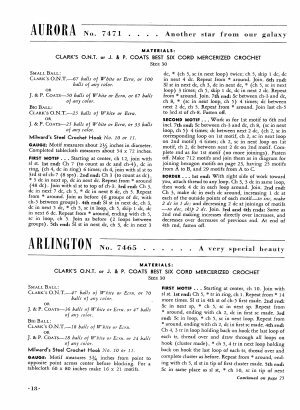 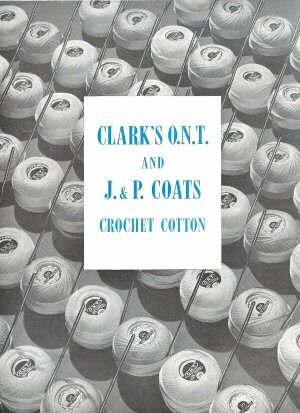 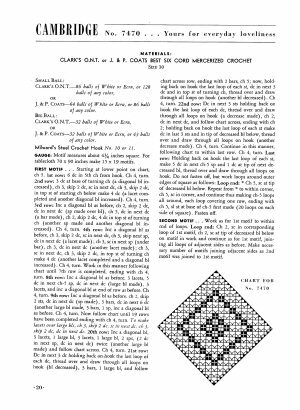 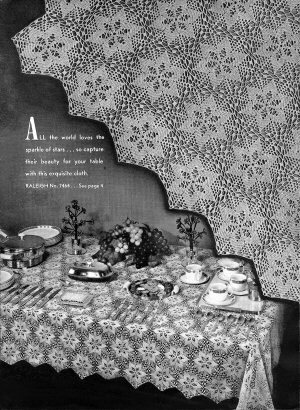 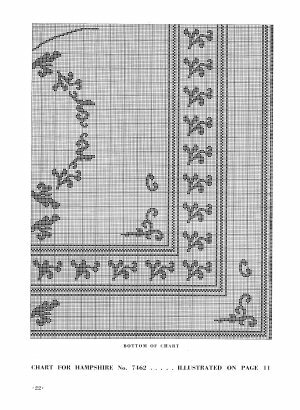 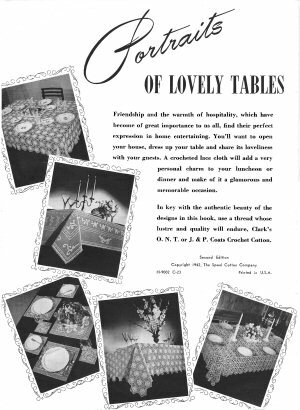 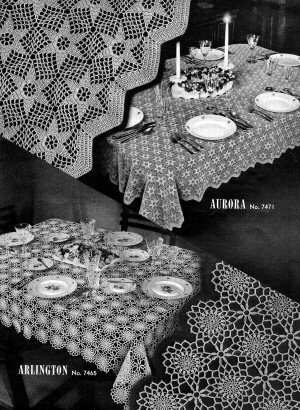 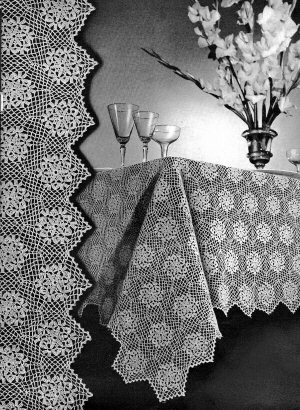 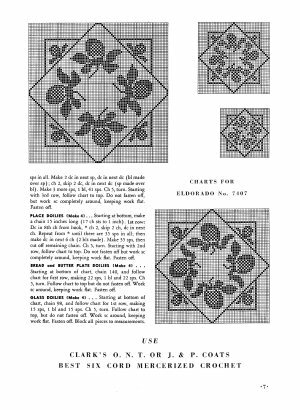 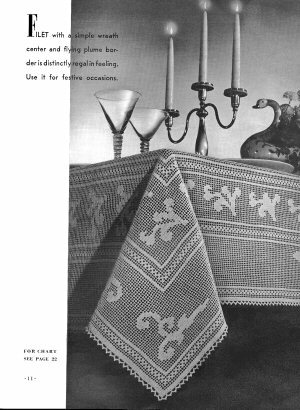 Collection of patterns for 12 crocheted tablecloths, most done as joined motifs, two as whole-cloth projects in filet crochet. 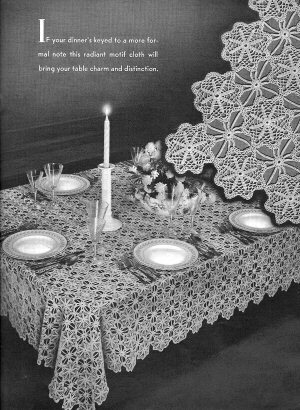 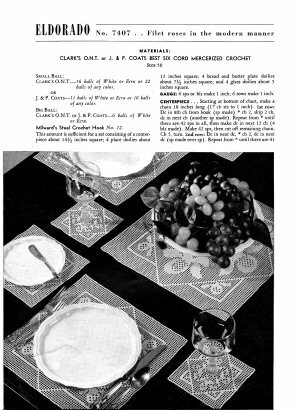 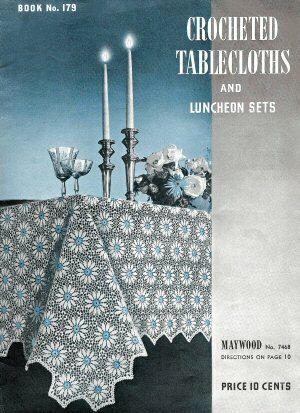 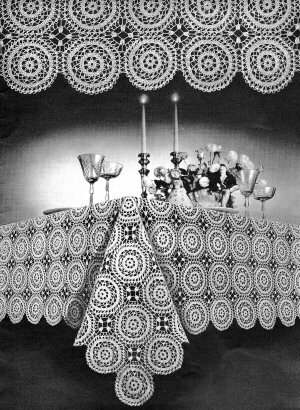 One placemat set in filet crochet. 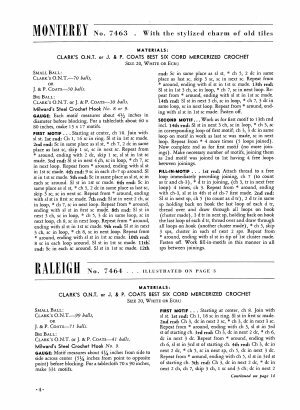 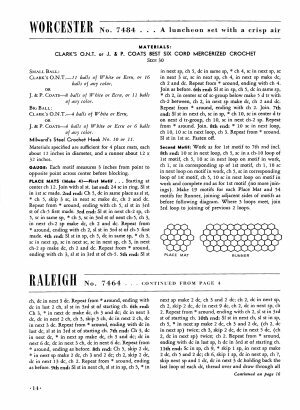 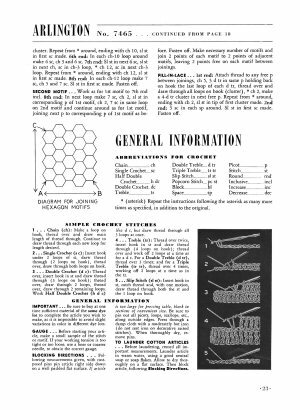 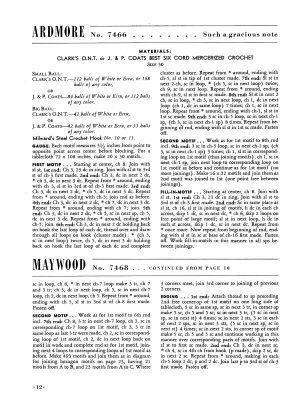 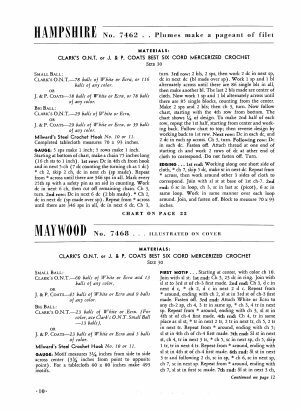 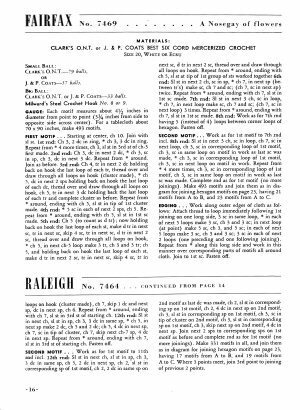 Directions in prose with charts for filet. 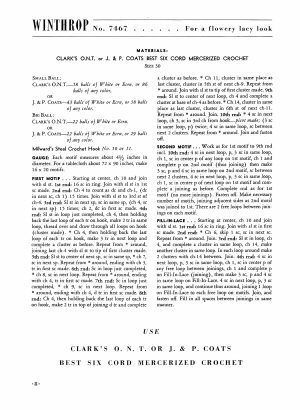 American notation.